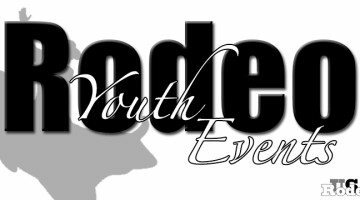 Youth Rodeo is a sport that takes place nine months out of the year, making it a way of life just as much as it’s a sport. The kids are the future of professional rodeo, and the events that they participate in prepare their rodeo talents for the professional circuit, as well as instilling good sportsmanship, athleticism and promoting an interest in fun competition. Just like in Professional Rodeo, there are specific events and rules that make this competitive sport so entertaining for viewers. RodeosUSA has compiled yet another brief run-down of the events you’re most likely to see at Youth & Children’s Rodeos. Unlike Professional Rodeo, Youth and Children’s events are usually always Timed Events. Timed events are based on the skills of modern-day working cowboys, primarily the different types of roping events you’ll see at a performance, as well as speed and agility displays such as barrel racing. This event is a variation of calf roping that involves a roped calf that is not thrown or tied. There is one calf and one mounted rider. Calves are moved one-by-one through runs that load into chutes with spring-loaded doors. The horse and rider sit in the chute next door with a spring-loaded rope – the barrier – stretched in front. The calf gets a head start with a loose-release rope tied around it’s neck, ensuring that the calf gets far enough away from the chute before releasing the barrier. Once the barrier is released, the horse runs out of the box and the rider/roper attemots to lasso the calf around the neck. If roped, the roper signals the horse to stop. This rope is tied around the saddle horn with string, and when the calf meets the end of the rope, the string breaks and marks the end of the run. Usually the rope is adorned with a white flag so that the timer can see it more easily. The fastest run wins. This event is a variation of tie-down roping that involves one mounted rider and one calf. Once the calf has been roped around the neck by a lariat that the rider throws, the rider dismounts the horse, runs to the calf and restrains it by tying three of the legs together in the fastest time possible. Calf roping has it’s origins in ranch work, and started as informal contests for the ranch hands to see just how quickly they could rope the calves for branching or medical treatments. The Calf Scramble competition is an event that takes place at many youth rodeos. A large herd of calves are released into the arena, and then a larger crowd of teenagers and young children over 100 lbs, usually between the 7th and 12th grades, are set loose into the arena to attempt to catch, halter and coax a calf into a designated area in the ring. There are a series of specific rules surrounding this event, including not being able to tie the rope to your own body or belt, not being able to rope the same calf as someone else, and undue roughness resulting in disqualification. The prize usually results in a heifer to take home and raise for a year to showcase in the next stock show, though sometimes it can also result in ribbons or money. Depending on the rodeo the animals used may be a calf, sheep or even a pig. Chute dogging is a timed event that is closely related to steer wrestling. A steer weighing between 400-500 lbs is placed in a chute with the competitor. When the chute opens, the compeitor must bring the steer ten feet into the arena and wrestle (“dog”) the steer down to the ground within 60 seconds. There are two kinds of falls the competitor can make: legal falls are when all four feet of the steer are facing the same direction as it’s nose, or dog falls: anything else where the feet and the head do not match. The compeitor either tries to turn the animal’s head to point toward the feet, or lets the steer up and tries again. Disqualificiation is when the compeititor loses contact with the steer or “trips” the steer in order to get it to the ground. In this timed barrel event the rider starts from either end of the course mounted on horseback. They race through the timing line set at one end of the arena to the first pole, go around it in either direction, then cross the timing line to the next pole and go around it in the opposite direction. Once the competitor crosses the first time line a second time, time is called and the round is finished. This is an event that is most common in youth, high school and college rodeos. At one end of the rodeo arena is a goat staked out on a 10 foot rope. The contestant leaves the chute on horseback, dismounts while their horse is still in motion, and flanks the goat onto it’s side before tying three of it’s four feet together. To signal that they are done with their round, the competitor throws their hands into the air and backs several feet away from the goat. The contestant with the fastest time wins. This is popular kid’s event that takes place at almost all rodeos across the nation. A child is placed on the back of a sheep inside a chute, then released into the arena. A protective helmet is usually work for the protection of the child during the competition. The goal of this event is to see which child can hold on the longest to the running sheep. Prizes are awarded to the child with the longest run. Pole Bending is a timed event usually seen in youth rodeos, high school rodeos, gymkhana or O-Mok-See and 4-H events. The setting up of the poles is crucial to the performance. Each pole is 21 feet apart, with the first pole set 21 feet from the starting point. They are six feet in height and 14 inches in diameter. The horse and rider must work together in this event as one, making it not only a show of agility and speed, but of good horsemanship. Knocking over a pole is a five-second penalty, whereas not following the course is a disqualification. This two-person timed event event consists of a a ribbon runner and a roper. The team is almost always a cowboy and a cowgirl, with either gender being either roper or runner. The calf rope is tied on like in calf roping, hard and fast. When the calf is roped, the roper gets off to help the runner get the ribbon tied to the calf’s tail. The runner then takes the ribbon and runs it across the finish line 30 feet from the roping chute. The roper must at least touch the calf before the runner crosses the finish line. Participants of this race are usually between the ages of 3 and 8, with most rodeos dividing them into age groups of 3-4, 5-6 and 7-8 year olds. The object of this game is for young kids to compete in a small-scale obstacle course while riding their wooden stick horse. Disqualification occurs when a child doesn’t stay on the stick horse or doesn’t complete a legal pattern on the course. Some rodeos will have the children take part in a simulated rodeo performance while riding their stick horses, in events such as Bronc Riding, Barrel Racing, Pole Bending, Calf Roping, etc.